According to the Kremlin, Russia was spurred into action by U.S. Pres. George W. Bush’s Dec. 13, 2001 decision to withdraw from the 1972 Anti-Ballistic Missile Treaty. However, while the Russians are developing a host of new weapons, there will likely be little overall impact on the strategic balance between Moscow and Washington. The real problem is that these developments strain the hard-won arms control regime that played a decisive role in helping bring the Cold War with the Soviet Union to a close. Moreover, as tensions between the United States and Russia continue to increase, the two great powers seem to be drifting into what can only be described as a new Cold War. “During all these years since the unilateral US withdrawal from the ABM Treaty, we have been working intensively on advanced equipment and arms, which allowed us to make a breakthrough in developing new models of strategic weapons,” Russian Pres. Vladimir Putin said during a March 1 address to the Federal Assembly. To counter what the Kremlin sees as the United States’ goal of undermining Russia’s strategic nuclear deterrent, Moscow has embarked on a program to develop new weapons capable of defeating any new American ballistic missile defense system. “Sarmat will replace the Voevoda system made in the USSR. Its immense power was universally recognized. Our foreign colleagues even gave it a fairly threatening name,” Putin said. 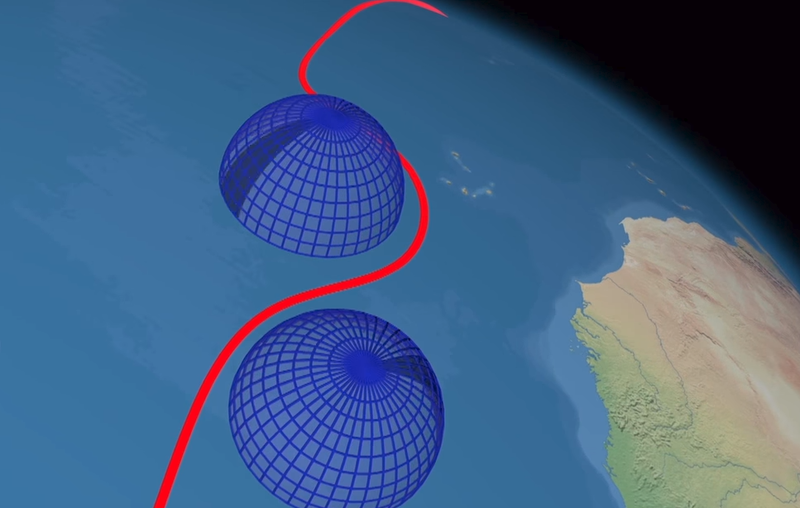 While the Sarmat was well known to Western experts, the Putin highlighted a host of non-ballistic missiles — some of which were known and some of which are new — that would bypass American missile defenses. One such weapon is a nuclear-powered cruise missile — a prototype of which the Russians have already tested. Putin also highlighted the Status-6 intercontinental-range nuclear torpedo, which would be powered by a compact nuclear reactor and carry a massive 100-megaton warhead. 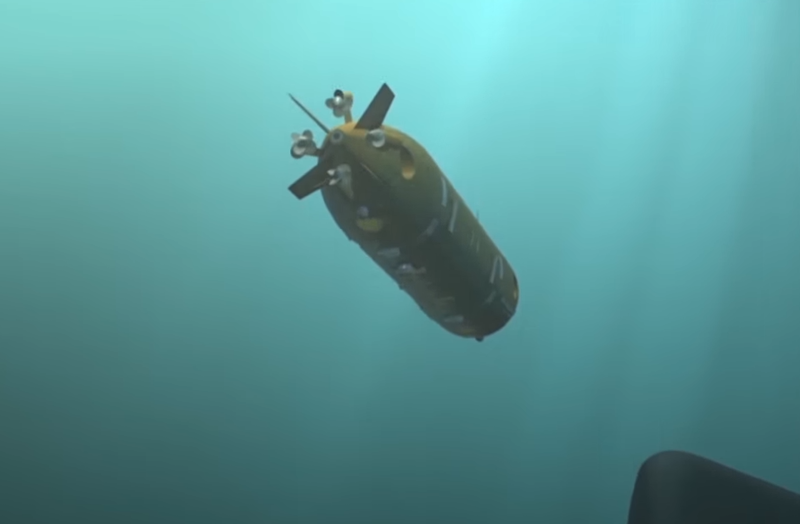 “We have developed unmanned submersible vehicles that can move at great depths—I would say extreme depths—intercontinentally, at a speed multiple times higher than the speed of submarines, cutting-edge torpedoes and all kinds of surface vessels, including some of the fastest,” Putin said. Putin also pointed to a heretofore-unknown hypersonic dual-capable nuclear and conventional air launched cruise missile called the Dagger — or Kinzhal in Russian — which Russia recently tested. Indeed, Putin said that the weapon is already starting to enter service with the Russian military. “Its tests have been successfully completed, and, moreover, on December 1 of last year, these systems began their trial service at the airfields of the Southern Military District,” Putin said. Meanwhile, Putin also mentioned that Russia has successfully tested a hypersonic boost-glide vehicle, which could also be used to carry a nuclear payload to intercontinental ranges. Experts on the Russian military said that Putin is not exaggerating about Russia’s new weapons. Nor is the existence of most of these weapons a huge surprise. Overall, there would not be immediate strategic implications for the United States in the short term. Indeed, there are no existing American countermeasures to defeat Russia’s existing nuclear arsenal. “Insofar as there is no current or anticipated missile-defense counter to anything already in Russia’s strategic arsenal, no, nothing changes,” Joshua H. Pollack, editor of The Nonproliferation Review and a senior research associate at the James Martin Center for Nonproliferation Studies, told The National Interest. There will, however, be longer-term implications as the new Russian weapons are fielded, particularly the nuclear-powered cruise missile and the hypersonic cruise missile. The new weapons could do severe damage to the current nuclear arms control regime. “The interesting point, for me, is that the deployment of certain of these new systems would fall outside of New START limits, which were narrowly drawn to limit ballistic missiles (and nuclear-capable strategic bombers),” Pollack said. In Kofman’s view, the threat is not as severe as one might expect despite Putin’s strongly-worded speech. The problem is less on the operational side than on the arms control side of the equation — these new weapons will erode agreements such New START. Indeed, the main second order effect of Russia’s decision to develop these weapons is the fraying of the arms control regime. The long-term risk to the strategic balance and the arms control regime are hard to calculate in the view of former Soviet and Russian nuclear arms negotiator Nikolai Sokov — now a senior fellow at the James Martin Center for Nonproliferation Studies at the Middlebury Institute of International Studies at Monterey. Another potential issue for the new nuclear age is the speed of these new dual conventional and nuclear capable hypersonic weapons. While in the past leaders had some amount of time — perhaps as long as 20 minutes to 30 minutes — to make a decision to launch a retaliatory strike, with the development hypersonic weapons, that time is compressed. Leaders might only have a few minutes — perhaps as little as five minutes in some cases — decide the fate of the planet. For some leaders, there will be a temptation to launch on warning before confirming if an incoming attack is nuclear or conventional because waiting might mean suffering a disarming first strike. In that sense, nuclear-tipped hypersonic weapons are highly destabilizing. Thus, arms control negotiations should take such weapons into account in the future, as Sokov noted. 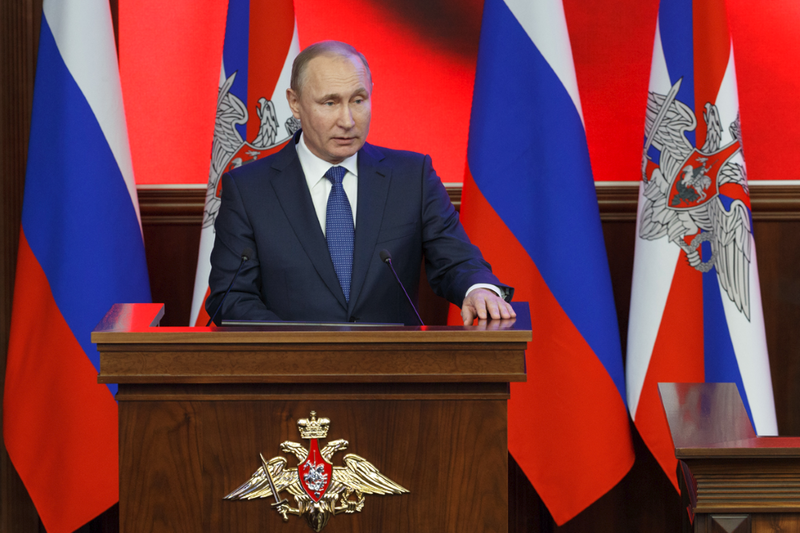 While most of these new Russian weapons have been known to Western arms control experts for quite sometime, Putin’s speech took direct aim at the United States and come just before Russian presidential elections. The timing and the message are not a coincidence. Russia — and Putin himself — seem to be genuinely aggrieved by what the Kremlin sees as hostile American and Western actions. Indeed, Putin emphasized that everything in his speech was intended to deter what he perceives as Western aggression towards Russia. “I hope that everything that was said today would make any potential aggressor think twice, since unfriendly steps against Russia such as deploying missile defenses and bringing NATO infrastructure closer to the Russian border become ineffective in military terms and entail unjustified costs, making them useless for those promoting these initiatives,” Putin said. Putin also took aim at the Pentagon’s new Nuclear Posture Review, which called for the development of a host of new American nuclear weapons — and lowers Washington’s nuclear threshold. Putin reemphasized that Russia will respond to any nuclear attack with nuclear weapons. “I should note that our military doctrine says Russia reserves the right to use nuclear weapons solely in response to a nuclear attack, or an attack with other weapons of mass destruction against the country or its allies, or an act of aggression against us with the use of conventional weapons that threaten the very existence of the state. This all is very clear and specific,” Putin said. Experts in Russia agreed that Putin was sending a very blunt message to the Trump administration — if Washington wants a new Cold War, Moscow is up for a rematch.